In 2015 I committed to running in four 5ks. While it was more difficult than I care to admit, I’m very glad I did. I ended the year with an 88 mile run (over the course of 2+ months), and felt like I was on top of the world. Of course then the holidays sank in and now I’m dreading my first race of the year. I am not a runner. I am trying to be a runner (sort of), and Geek’d Out Events is one of the ways I’ve been doing so. They host nerd themed 5ks throughout the year all benefiting AMAZING causes. 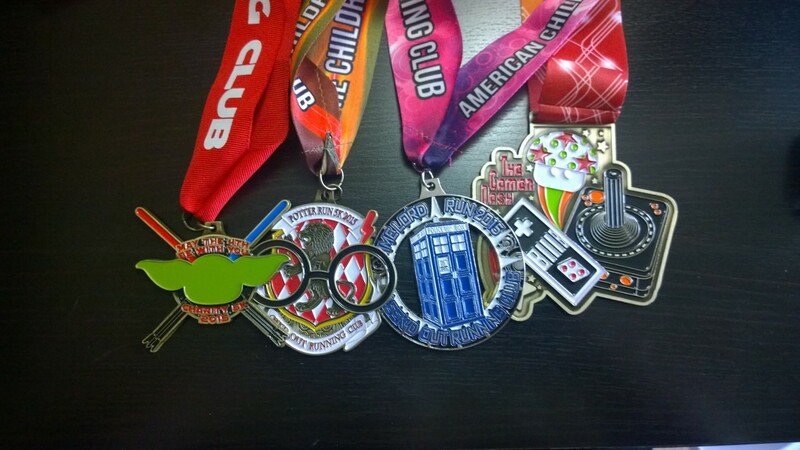 In 2015 I participated in a Star Wars 5k benefiting Adoption Exchange, Harry Potter 5k benefiting The Children’s Justice Center, Doctor Who 5k benefiting American Childhood Cancer Association , a qualifying Video Game 5k, and then a Back to the Future 88-miler benefiting the Michael J. Fox foundation. I benefit greatly from living in the state where the 5ks are hosted. Those that don’t have that benefit, Geek’d Out still has your back. GOE does a great job of organizing virtual races for the 5ks, so that anyone who wants to participate can do so on their own time in their own town and still get the amazing medals. In 2016, GOE is planning on doing SIX 5ks through out the year, but keeping the themes pretty under wraps. One of the races will be Harry Potter themed (this year is RAVENCLAW), but the rest are a mystery. The race is a virtual run as a 22.1 miler (as in 221 B Baker Street), called Baker Street Bound. In addition to getting a killer medal out of it, it benefits an amazing cause, Badges Supporting Fallen Officers Families (Fallen). Additonally, GOE has also organized a mystery to solve while running. Reaching certain milestones gives you clues to a mystery, anyone that participates and helps solve the case is entered to win a Blu-Ray gift set of the seasons of Sherlock. Honestly, GOE has exceeded all of my expectations with every race. GOE is very well organized and chooses awesome groups to benefit. With every race, they get better and better. If you’re looking for a fun way to work out (a bit) and also benefit great causes look no further. After writing very briefly about Galavant in my last Thursday and Thrilled, It seems a lot of people have never heard of or seen this show. I need to correct this right MEOW! It’s almost halfway through the month, but whatever. In addition to saying “Yes Please” to more things, I’m going to try and do things that push me a little out of my comfort zone. I’ve said before, I’m not a very adventurous kind of person. I usually have to grip onto the Gryffindor part of me pretty hard and convince myself that I can do whatever is out of that zone. I haven’t died yet, so I know that I can do it. Last year I stepped out of this zone by participating in a crazy amount of 5ks (more on those for 2016 coming later this week). But this year I’m going to try and push it a little bit more.Starting with January. But January is mostly going to be about planning out my comfort zones and where they end. I have a handful of friends who have talked about a word that they have chosen to be their word of the year. A word that will inspire their year and how they could be living it. Mandy of The True Ultimate Fangirl Offically wrote about hers here, Alice from The Geeky Burrow wrote about hers here, and Liz of Nerd in the City wrote about hers here. I decided that I would go about 2016 a little bit different. My word, is actually a phrase. I am that person who has to be forced through a door that I didn’t think was an option. I’m not exactly the most adventurous and so I’ve been stuck in my own grooves for a bit too long. Now with this new found idea, I’m not saying I’ll be jumping out of airplanes or riding the The Cannibal, but I do want to try things I’ve never tried before. 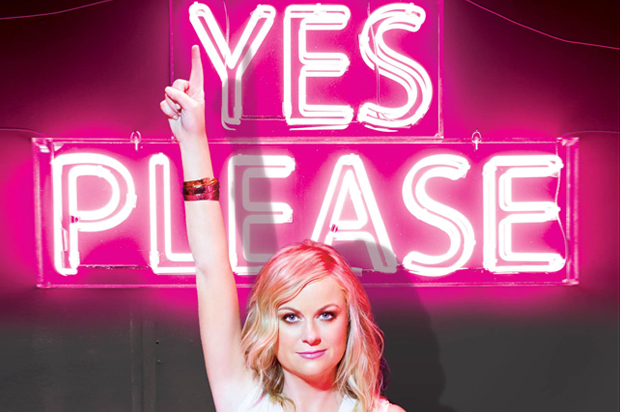 Saying “Yes Please” doesn’t mean I won’t ever be saying “No” this year. It just means that on things I normally would brush off, I’ll be actually thinking about why I’m saying no. Maybe the simple act of thinking why I’m saying no will help me say YES to more things. Of course all of this is within reason, but I’m hoping it’ll prove to be a pretty good year. What is the Liebster Award? You may ask? The Liebster Award is given to bloggers with relatively small followings by bloggers with relatively small followings to show their love for each other. The award both helps readers get to know the recipient a little better (through the Q&A) and introduces readers to blogs they might never have heard of (through the nominations). Link back to who nominated you. Create 11 questions to ask them. *Similar to Mandy, I feel like keeping track of who follows me is just going to drive me insane with what I “should” be doing to get more followers, instead of writing what I want and hoping other people like it. So here are my questions from Mandy! Who’s your favorite celebrity to follow on Instagram? I’m probably going to have to go with Ashley Clements from Lizzie Bennet Diaries (haven’t watched it? DO IT NOW!!!). Because she posts an incredible amount of pictures of her cats and never misses a caturday post. If you could visit any point in time—past or future—where would you go? I’d like to be a fly on the wall while JK was writing Harry Potter. That would be kind of amazing to witness. Where are you from/where did you grow up? Born and raised in Utah. All over the valley, stayed within the same state. Do you prefer coffee or tea? Depends on how early I had to get up. XD If I have a morning meeting at 7am and had to get up at 5am then usually a caramel mocha from the local coffee shop. If its a day of reading and writing, a chai latte from the same coffee shop. What fashion type or item do you wish would come back in style? I’m not really the most fashionable. I’m not entirely unfashionable, I’ve just never really had anyone help me navigate the murky waters of the industry and styles for me… Did that answer the question? No? Crochet looking dusters? What’s your favorite color? Purple! I wear an insane amount of purple. Unpopular opinion time: What nerdy thing (show, book, fandom, etc.) do you just not understand? Walking Dead. I TRIED SO HARD!!! But Zombie’s just don’t do it for me. What finished book series would you like to see more books from? Meg Cabot’s Heather Wells Series. I’m not sure if she’s writing more or not, but I’d love to see more of Heather Wells and her shenanigans. What movie did you watch the most times in theaters? How many times did you see it? Lord of the Rings: The Fellowship of the Ring. My best friend and I went and saw that movie at LEAST once a weekend for the entire run it had in the dollar theater in our area. I think I saw it in the theater 14-17 times (to be fair, it was only $1 to go each time). There are so many amazing bloggers out there right now so I’m going to nominate a lot of them. I know that a TON of you have been nominated before so if you’re too swamped to do this feel free to pass. I won’t take it personally! I’m pretty sure most (if not all) of you have over 200 followers, but there is a reason for that. BECAUSE YOU’RE AMAZING, so I’m gonna nominate you anyway!!! If you could swap places with a book character who would it be? 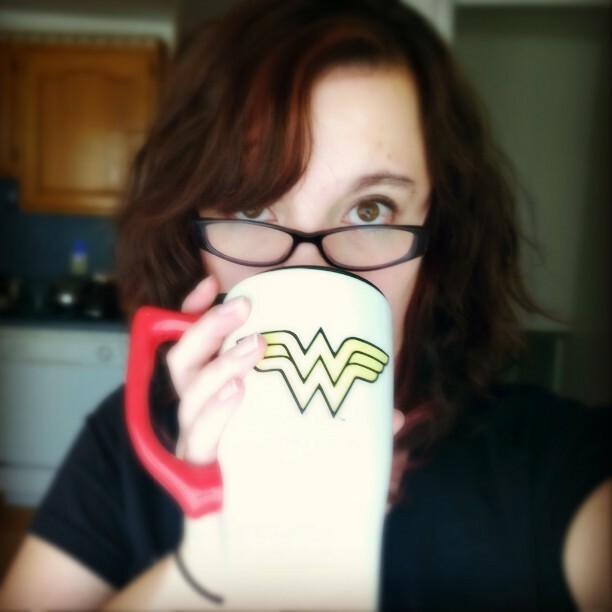 What fandom do you most identify yourself with? What song do you turn up as loud as possible and just belt when it comes on? Would you rather go for a ride in the Impala with Sam and Dean, or in the TARDIS with the Doctor? If you were a superhero, what would your symbol be? What is your comfort movie? Thank you again for the award Mandy! I’ve been waiting with bated breath for a long time for the new Kingdom Hearts game to come out. Kingdom Hearts II was released in 2005, and while there have been several games released since that time (Coded, 358/2, Birth By Sleep, Dream Drop Distance and the ReMixes) they’ve almost all been released on portable devices instead of standing consoles. Everyone has been waiting for the next console game to be released. For TEN years we have been waiting and waiting thinking about how the next game was going to be. The past few years have resulted in little to no news about the upcoming game. It’s been disappointing and a bit unfair to the fandom. However this year, has released more news than we’ve seen in a long time.